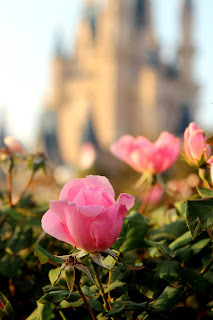 Kingdom Konsultant Travel Blog: Stop and Smell the Roses at Walt Disney World! Stop and Smell the Roses at Walt Disney World! Walt Disney World is known not just for its parks, resorts and top-notch service, but also for its cleanliness and presentation. There's hardly ever a piece of trash in sight and the details that meet the eye are endless. 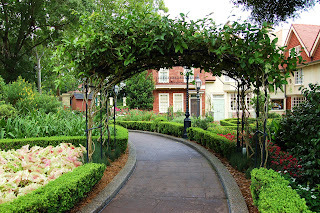 One of my favorite details to take note of are the gardens, blooms and landscaping found throughout Walt Disney World. Throughout the parks, flowers of every color and type can be found. Each bloom is perfectly fit to its surrounding area. In the Germany pavilion at Epcot, potted geraniums are hung from lamp posts throughout the area. The Japan pavilion features bamboo posts and bonsai trees around the giant Koi pond. One of my favorite gardens happens to be in the United Kingdom pavilion. Arbor dressed with vines welcomes you to the path which winds through a charming garden. It's so picturesque, one can't help of sitting down and enjoying afternoon tea here. While Disney's Hollywood Studios has its fair share of gardens, it's undeniable that the lush landscaping at Disney's Animal Kingdom is anything less than spectacular. One of my favorite little quiet spots at Animal Kingdom is the paths around the Tree of Life. Many guests walk by these paths not even realizing they are there. Here you will find more greenery than you could even imagine. Along with the rest of the parks, Magic Kingdom park is full of flora - from the tropical plant life in Adventureland to the cactus plants in Frontierland. In true Disney fashion, in each area uses the plans to help execute the themes and ideas of their respective lands. Just before you enter the bridge to Tomorrowland from the Main Street hub, is the Plaza Rose Garden. This happens to be one of my favorite places to scoot out of the crowds, take some pictures and gaze at Cinderella Castle for a bit. Even outside of the parks the landscaping skills are in full force. One of the areas where this is truly shown is at the resort hotels. Quaint gardens of delicate flowers add to the Victorian atmosphere of the Grand Floridian. Cacti and rock gardens bring in the true feeling of the southwest at Disney's Coronado Springs Resort. Palm trees and hibiscus plants transport you to the islands at both Caribbean Beach Resort and Disney's Polynesian Resort. 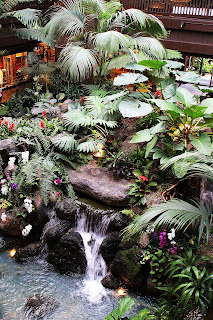 Speaking of the Polynesian Resort, one floral feature I (and many others) adore is the fountain and gardens inside of the Great Ceremonial House. 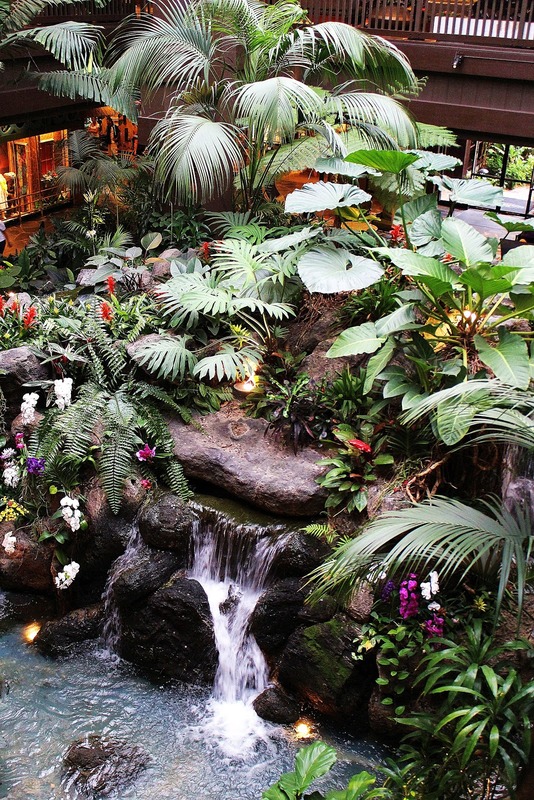 Countless times that I've visited the Polynesian I have sat by the waterfall and just stared. It's quite possibly one of the most relaxing places in Walt Disney World, in my opinion. 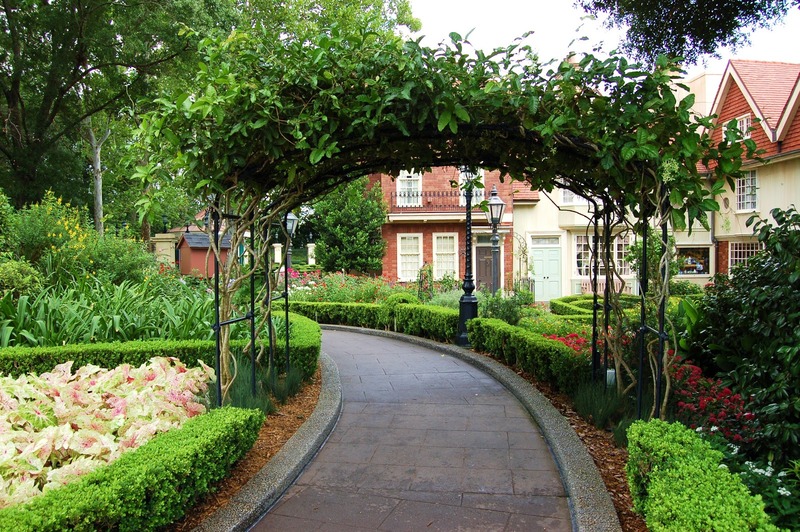 Do you have a favorite garden in Walt Disney World?